A month or few back, at a time when it looked as though the winter was going to go on forever, Intrepid sent me their latest jacket for review, the Gravity jacket. It didn’t come a moment too soon. We are big fans of Intrepid on this website. Several of us have more than one item from their range, with the Mission shorts in particular being firm favourites. My own pair are still going strong two years after I first got them and they’ve proved to be a great option. 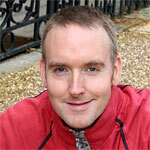 The Gravity jacket is quite unusual in a couple of ways, in fact I can’t think of a similar product on the market. It’s made from a tough stretchy softshell fabric which is wind and sort of waterproof, although the jacket doesn’t have the taped seams that ‘official’ waterproof jackets have. In my view it’s a much nicer fabric than the quite spongy softshell jackets offered from Gore and their competitors but the reason for that sponginess is to do with thermal efficiency and breathability. 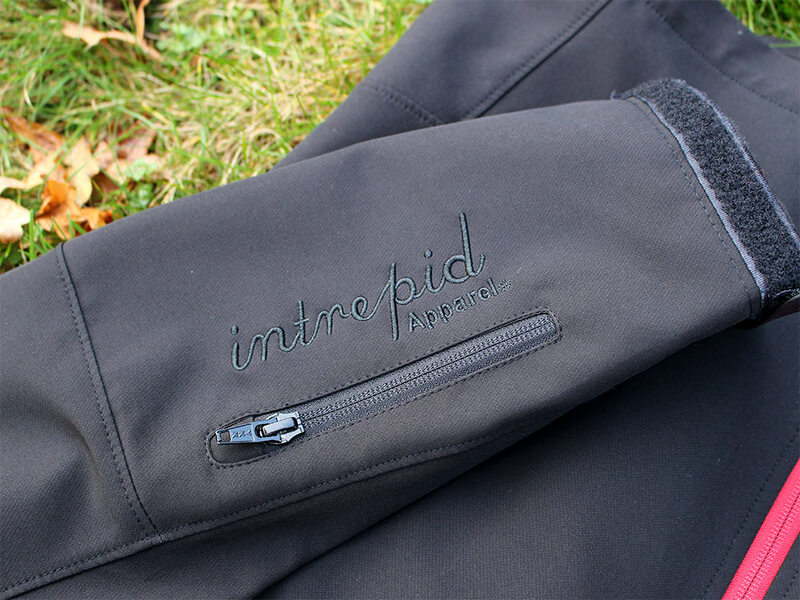 The Intrepid fabric lacks both these properties to some extent but this is countered by the jacket having a soft touch lining that provides an extra warm layer for the wearer. This works well to provide protection and in most cases, with temperatures above freezing but definitely wintry, this jacket feels lovely and warm with just a merino base layer underneath. 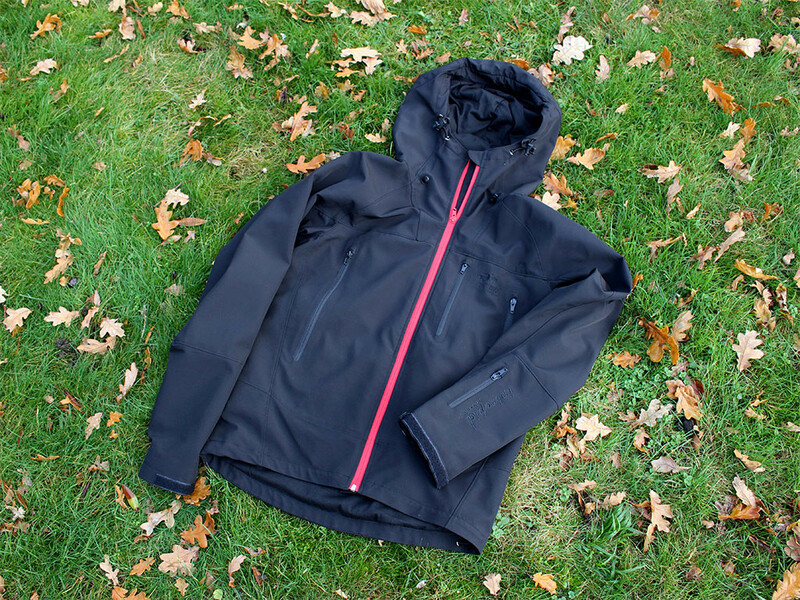 That lining, plus a lighter softshell material is unlike anything on the market. Breathability is limited and comes in the form of opening the main zip or the two large front pockets on the torso, which is quite a simple approach but this combination of fabric and vents results in a freer feeling jacket than some stuffy softshells. Perfect when your hammering. In terms of cut, my medium is pretty roomy on my 11st and 5′ 10″ frame but it depends I guess on how many layers you want underneath – personally not many, as it does warm up very quickly. Another feature that is a great idea is the integrated hoody which is designed specifically to go over a helmet and really keep the weather at bay, with a brim that can be moulded to your needs. If the weather is really nasty and you’re the only moving thing for miles around this can really make a difference. Alongside all that, the usual Intrepid features are all present. Strong zips for ease of use and durability, a pocket on the rear with a phone pouch and ipod port, a lift pass pocket on the forearm and sharp design makes this a very stylish jacket, one I was just as happy to wear to the pub for the bikey hipster look (as much as a man currently exploring his middle years can do hipster). In fact, I think Intrepid might have missed a trick here. The jacket, I think, is perfect for the Enduro and Gravity crowd in particular, which is Intrepid’s natural market. If you are spending wintry time at the top of a mountain waiting your downhill turn this jacket is perfect at keeping the weather out. 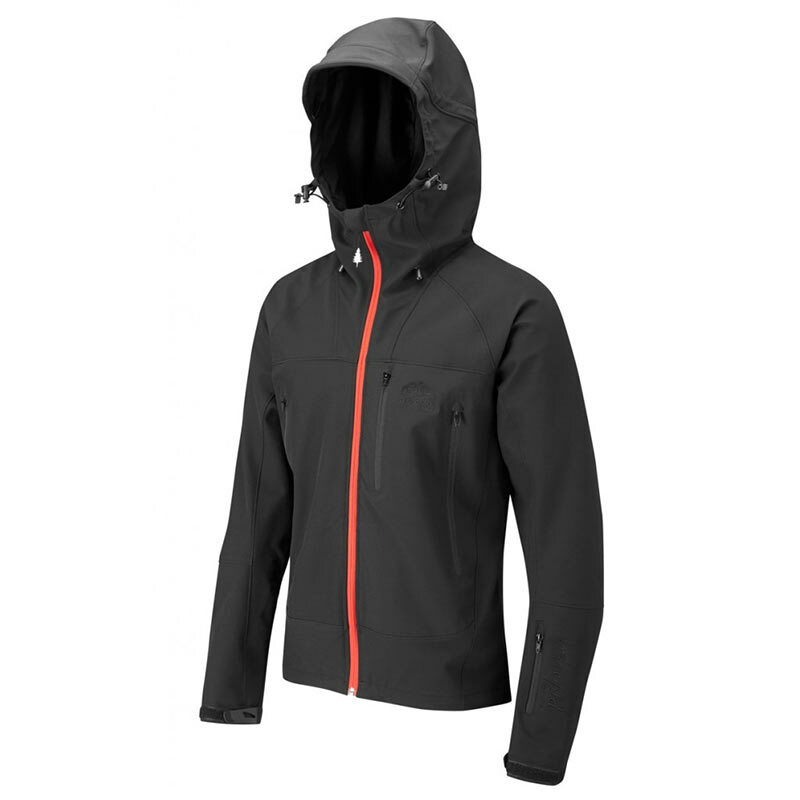 Cinch down the cuffs, pull up the hood and you should be nice and cosy, while the relatively basic breathability is no issue when you’re hammering downhill. I tend to stick to more XC miles (or gnarr-lite) and found while the warmth was good, the breathability got me damp very quickly on more vigorous, sustained riding. The features that make this so well thought out when you’re standing around in poor weather are less suited for fast riding in mild temperatures around the Surrey Hills. Even so, with the jacket looking so stylish it would be perfect for someone who is commuting by bike and wants to have a jacket for the pub after work or for heading out for lunch. Here it suffers somewhat as there’s no reflective gear on it and it can get hot if you are racing traffic lights and taxis. A vent or two and some reflectivity would open it up to a whole new market as there’s no doubt this is built to last. Cut back and cruise and save it for the bike park and you’ll be fine. Overall then a lovely jacket which I’m happy to own. It’s one for winter for sure but it’s usability stretches into the spring/autumn shoulder seasons if you dress lightly underneath. Slap on some of those distinctive Intrepid graphics in a reflective thread though and it could open up a much wider market. I am interested in this jacket and would like to understand what you mean by “sort of waterproof”. Are you saying this because of a lack for taped seams? Is the fabric waterproof? Did you test it in the rain? Any additional insight would be great! Hi Jeff, thanks for the question. Intrepid claim the jacket is waterproof but I can’t see how that can be the case with the attached lining and the non taped seams. My experience is that in milder weather and heavy exertion you tend to get damp from the jacket struggling to let the moisture OUT and that’s probably what I had in mind when I wrote what I wrote. It’s a tough jacket meant for harsh conditions but I would expect it to wet through eventually.